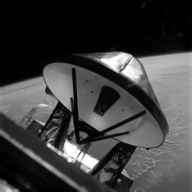 In all instances, the two spacecraft were allowed to separate once the LM was well into the checkout of its systems and no problems were being encountered. For the later missions, Apollo 14 onwards, mission control read up a PAD with which the CMP could make his circularisation burn. In truth, the orbit resulting from this burn was not really circular but was made deliberately elliptical. This reflected the fact that FIDO was compensating for the perturbation of the CSM's trajectory by the Moon's mascons, and although the effect of these gravitational irregularities was not well understood by the flight dynamics team, they hoped that by the time the LM was due to return, the orbit would have tended to circularise. The descent orbit had its perilune over the near side, 500 km short of the landing site. Therefore, the circularisation manoeuvre required a short burn of the SPS engine - only about 4 seconds long - that was carried out around the Moon's far side, lifting the CSM's perilune up to about 110 kilometres. For all SPS burns, an elaborate series of procedures had to be carried out to prepare and check the engine and its control systems. One of these checks was to verify that the gimbal-mounted engine could be aimed before and during the burn, and it was during this check that a problem occurred that nearly cost Apollo 16 its landing on the Moon. The crews had become used to dealing with difficult scenarios during the many and varied simulations that comprised their training. But by the time they went on their flights, they were often struck by how calm things were because, for most of the time, things worked. The simulator supervisors were no longer throwing obtuse scenarios at them to test how they and mission control responded. To Young, however, this LM checkout was starting to feel like a particularly difficult simulation. Just then, Mattingly called across their VHF link. ''Hey, Orion." ''Oh, boy,'' said Young. Things were already bad but they had just got a lot worse. Mattingly had discovered that the backup mechanism that steered the SPS engine during a burn was shaking wildly every time he tested it. They needed that engine to get home and this sounded like a show-stopper. ''You got any quick ideas?'' asked Mattingly. 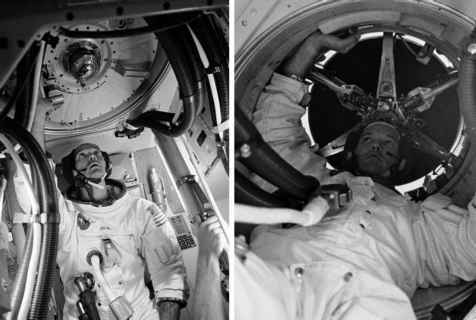 Their mission rules said that the main and backup actuators for both the engine's pitch and yaw gimbals had to check out as fully functional, or the crew had to return home forthwith which would mean cancelling the lunar landing. ''Yep, and tell the ground when you go around,'' said Young. As they were still around the far side, Houston had no inkling of the problem until CSM Casper reappeared around the eastern limb. Meanwhile, Young brought Orion back towards Casper to await Houston's decision. ''Understand. No circ,'' confirmed Jim Irwin. Immediately, teams of engineers in Houston began to work the problems that had been reported for the two spacecraft, calling on support from the teams at the manufacturers in California and Long Island. After 4 hours, and both spacecraft had gone behind the Moon for a second time since reporting the problem, managers decided that it was safe to proceed with the landing. Their rationale was that if the main actuators controlling the SPS engine were to fail, the backup system would kick in. That is, they thought that its wobble did not threaten its primary function, that of bringing the crew home. Six hours later than planned, and about as long a delay as could have been accommodated, Young and Duke landed safely at Descartes. Although the extra hours spent in orbit had eroded the LM's overall power supply, and the surface time had to be trimmed to suit, they completed an essentially full mission.